A source told SANA that while the engineering units were combing areas liberated from terrorism in Damascus Countryside, the authorities found American and Israeli-made rockets, in addition to large quantities of ammunition, shells and various types of medium and light weapons hidden in underground warehouses. Syrian dictator Bashar Assad has used chemical weapons in his country’s civil war more than 300 times over just the past five years, with the vast majority coming since President Obama declared in 2013 that chemical attacks constituted a “red line” that could not be crossed, a new report claims. The report from The Global Public Policy Institute, a leading European think tank based in Berlin, examined nearly 500 claims of chemical weapons attacks dating back to 2012. The organization said it was able to “credibly” confirm 336 of those attacks, with the first on Dec. 23, 2012, and the latest in April 2018. Russia says Syria’s Kurdish militants should begin dialog with the government of Syrian President Bashar al-Assad as the United States — hitherto backing them on the ground — is preparing to withdraw from the Arab country. Most of the Kurdish militants in northern Syria are members of the People’s Protection Units (YPG), a US-backed militant group that forms the backbone of the so-called Syrian Democratic Forces (SDF). The SDF, which has been fighting against the Takfiri Daesh terrorist group, has set up what is effectively a semi-autonomous administration in northern Syria during the country’s seven-year conflict. Over the past few days, notable journalists and other figures in mainstream media have acknowledged that the alleged chemical weapons attack that occurred last April in the Damascus suburb of Douma, Syria was likely “staged” by “activist” groups such as the White Helmets. Their comments and investigations have largely vindicated the many journalists and academics who cast aspersions on the precipitous Western media campaign to blame that alleged attack on the Syrian government. 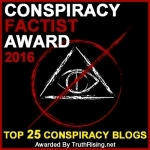 Many of the dissenting voices were derided as “conspiracy theorists” or ignored entirely by mainstream sources. Syria’s President Bashar al-Assad warned on Sunday that the United States would not protect those forces inside Syria currently depending on it, a clear reference to the Kurdish-dominated Syrian Democratic Forces (SDF) which control northeastern Syria under Pentagon protection, though without naming the group. This comes after the Trump administration reportedly plans to begin full US troop withdrawal by mid-March, with a complete exit set for April, according to defense officials cited in a prior Wall Street Journal report. “We say to those groups who are betting on the Americans, the Americans will not protect you… The Americans will put you in their pockets so you can be tools in the barter, and they have started with (it),” the Syrian President said while he was welcoming the heads of local government councils, as cited by Reuters. With the U.S. due to announce the Islamic State group is destroyed and its troops withdrawing from Syria, it is looking for allies to step in and help stabilize the region, Sen. Lindsey Graham said Friday. Graham called for a lean, joint military presence to enforce a safe zone that would protect American-backed Kurdish forces in Syria from Turkey, watch for the reemergence of ISIS and buy time for a Syria peace process in Geneva. I think the Syrian government might have something to say about this. The US commander who has been leading the war against ISIS told CNN Friday that he disagreed with Donald Trump's decision in December to pull troops out of Syria and warned that the terror group was far from defeated, in a stark difference of opinion with the President. "I mean, seriously, if we pull out of Syria, then I'm out of a job!" On February 14, the Syrian Arab Army (SAA) ambushed an ISIS unit in the Damascus desert killing several terrorists. SAA troops also capturing a large number of weapons and equipment, including a Konkurs anti-tank guided missile launcher, several RPG-7 launchers, several machine guns, mortars, a satellite communication system and two vehicles. According to SAA sources the ISIS unit was likely attempting to sneak these weapons and equipment to ISIS cells operating near the area of al-Tanf. In northern Hama and southern Idlib, the SAA repelled several infiltration attempts by the Turkistan Islamic Party (TIP) and Hayat Tahrir al-Sham. The both radical groups have recently expanded their influence within the Idlib demilitarized zone, which has been demilitarized only by its name so far. On February 13, the Syrian Air Force conducted a series of airstrikes on ISIS hideouts in the area of Kiribat al-Hosn in the Damascus desert. The airstrikes reportedly came in response to a recent increase in the activity of ISIS cells in this area. The Damascus desert as well as the desert areas near the US-occupied al-Tanf zone are still a safe haven for a few hundred ISIS-linked militants. Just last week, the Syrian Arab Army (SAA) eliminated a group of 6 ISIS members involved in a reconnaissance operation near the administrative border of al-Suwayda province. The situation in the desert area may deteriorate even further if the SAA and its allies do not employ the measures needed to neutralize this threat. BREAKING! Russia Was RIGHT! Western Fake News Finally Admits Gas Attack in Douma Was STAGED! Israeli Prime Minister Benjamin Netanyahu has confirmed the Israeli army hit targets in Syria in an attempt to discourage Iran from gaining a foothold there. Israeli shells have reportedly hit a hospital and an observation post. "We operate every day, including yesterday, against Iran and its attempts to entrench itself in the region," Netanyahu said as he was about to depart to the Middle East conference in Warsaw, Poland on Tuesday, confirming a Monday attack on Syria's southern Quneitra province. No matter the excuse, Israel is bombing someone else's country! The US is facing increasing pressure from Russia and Iran to withdraw their troops from Syria, as tensions continue to rise in the war-torn region. Russia Deputy Foreign Minister Sergei Ryabkov told reporters on Monday: "We insist that the United States should fulfil its pledge and fully withdraw from Syria. Moscow's warning comes a day after Iran threatened to strike US bases if Washington fails to fully withdraw its military from Damascus. A group of civilians who had been kidnapped and held by the terrorist groups were liberated on Tuesday in the countryside of Aleppo. The US-led anti-ISIS coalition has confirmed on Tuesday that they deliberately attacked a mosque in the Syrian village of Baghouz. Details on casualties were not readily available. though the coalition said it was “aware” of civilian casualty reports. Maj. Gen. Christopher Ghika says that the mosque “lost its protected status when ISIS deliberately chose to use it as a command and control center.” Officials also accused ISIS of using the mosque to plan car bombings. While the US often rests on the legal argument that the mosque had it coming, attacking a mosque is always hugely controversial, and doubly so when civilian casualties are reported. During the course of anti-ISIS operations, the US has attacked a number of mosques. A flurry of Israeli artillery fire and a handful of missiles fired by drone hit Syria’s Quneitra Province on Monday, destroying an observation post and striking the site of an already demolished hospital. Details on exactly what happened is unclear, and Israel is refusing all comment on the matter. Syrian state media said the strikes did material damage to the sites hit, but that there were no casualties reported. Though Israel has been openly attacking Syria for months now, it is generally focused on the capital city of Damascus. Hitting Quneitra, close to the Golan Heights, largely stopped after the Israeli-armed rebels in that area were defeated. US-backed forces were locked in fierce fighting Sunday as they pressed the battle against the last shred of the Islamic State group's "caliphate" in eastern Syria. The Kurdish-led Syrian Democratic Forces (SDF) are clearing the village of Baghuz, which is from their point of view the last settlement in Syria controlled by the Daesh* terror group, of the terrorists, SDF spokesman Mustafa Bali has stated. Here it is finally. The time has arrived for the fabled, confused and precarious US troop withdrawal from Syria despite the best efforts of neocons and interventionistas to permanently stall and alter course, per a new Wall Street Journal report that dropped late in the day Thursday: "the military plans to pull a significant portion of its forces out by mid-March, with a full withdrawal coming by the end of April." There is obviously a major fight going on between Trump and the war-hawks over Syria! Three Russian long-range S-300 rocket launchers are set up in Syria and ready to fire, says Israeli satellite imaging company ImageSat International (iSi). “Due to the current regional tension and the detected erection of the launchers it is possible that the mentioned activity indicates an increase of the operational level and alertness. However it is currently unclear why only one launcher is covered by camouflage net. This situation is rare and raises question marks about the operational level of the whole battery and specifically of the covered and folded launcher”, the company assessed. The company suggests that the launchers be installed in the northwest of the Syrian city of Masyaf. Members of the Jabhat Fateh al-Sham Takfiri terrorist group, formerly known as al-Nusra Front, have reportedly moved barrels with banned chlorine to a town in Syria’s militant-held northwestern province of Idlib, using vehicles of the so-called White Helmets civil defense group. Head of Damascus-based Syrian Human Rights Network, Ahmad Kazem, told Russia’s Sputnik news agency on Tuesday that the members of the Western-backed aid group, which has been repeatedly accused of cooperating with Takfiri terrorists and staging false flag gas attacks, have started to install cameras in a number of hospitals in a bid to implicate Syrian government forces with the use of chlorine. And despite Trump's claims thatISIS has been defeated, Votel said the fight against the terror group is "not over" and warned ISIS could regroup after US troops leave. "I was not aware of the specific announcement. Certainly we are aware that he had expressed a desire and intent in the past to depart Iraq, depart Syria," Gen. Joseph Votel said during a Tuesday hearing held by the Senate Armed Services Committee. A bipartisan group of eight House lawmakers on Wednesday introduced two bills to make it more difficult for the Trump administration to withdraw troops from Syria and South Korea. The bills, introduced by freshman Reps. Tom Malinowski (D-N.J.), and Van Taylor (R-Texas), would limit the funds the administration may use to pull troops from the countries. Democrat Reps. Andy Kim (N.J.), Jimmy Panetta (D-Calif.), and Max Rose (N.Y.), also back the bills, as do Republican Reps. Mike Gallagher (Wis.), Elise Stefanik (N.Y.), and Will Hurd (Texas). Kim, Gallagher and Stefanik all serve on the House Armed Services Committee. The first bill, titled the “Responsible Withdrawal From Syria Act,” prohibits the use of Pentagon funds to draw down active duty troop presence in Syria below 1,500. These are symbolic only. Without Trump's signature, they have no effect. After approaching two months of talk of a “full” and “immediate” US troop withdrawal from Syria, first ordered by President Trump on December 19 — which was predictably met with swift and fierce pushback from beltway hawks including in some cases his own advisers — it now appears the death knell has sounded on the prior “complete” and “rapid” drawdown order. US warplanes attacked a Syrian military position along the border with Iraq at Abu Kamal late Saturday. Syrian state media reported the attack as “US aggression,” which reportedly wounded two soldiers and destroyed a stationary artillery piece. Exactly what happened that led to this rare US attack on Syrian military targets is uncertain. The US-led coalition claimed that it involved their “inherent right to self defense,” and that some “partner forces were fired upon” by the artillery. That’s a very non-specific allegation, and also seems unlikely. The only “partner forces” for the US anywhere near Abu Kamal are the Iraqi military, which is allied with Syria’s government, and the Kurdish SDF, which is also in the process of making a deal with the Syrian government to resist a Turkish invasion. This Congress has just elected James Risch (R-ID) to the presidency of the Senatorial Committee for Foreign Affairs, and Eliot Engel (D- NY) to the presidency of the equivalent Committee for the House of Representatives. The two men agree on nothing apart from their stubborn support for the Pentagon and Israel, and their hatred of Syria. Director of US National Intelligence Dan Coats says Iran will likely retaliate against Israel’s continuing air raids on Syria. Israel frequently launches attacks inside Syria, claiming to have hit Iranian targets there. Iran has been offering advisory military assistance to the Syrian government in its counter-terrorism battle. A U.S. court has ordered the Syrian government to pay the family of journalist Marie Colvin a large sum of money after the judge found Damascus responsible for her death. According to the judgment that was released last night, the Syrian government is ordered to pay the family of Marie Colvin $302.5 million for what the court called an ‘unconscionable’ attack. The judgment claimed that the Syrian military and their intelligence apparatus targeted the broadcasts of Colvin and other journalists during the siege of Homs. "There are also serious concerns about reports that terrorists are not abandoning attempts to fake the use of chemical weapons against civilians. According to available information, a group of activists, the notorious pseudo-humanitarian organisation, the White Helmets, have prepared the necessary equipment in several hospitals of Idlib to film such provocations", Zakharova said at a briefing. Iran struck economic and trade deals with Syria on Monday, as it widens its role there after helping Syrian President Bashar al-Assad reclaim most of his country. Tehran has reached “very important agreements on banking cooperation” with Syria, Iranian Vice President Eshaq Jahangiri said in the Syrian capital Damascus. Iran will also help repair power stations across Syria and set up a new plant in the coastal province of Latakia, he added. During Syria’s eight-year conflict, Tehran has dispatched forces and allied Shi’ite militias, including Hezbollah, to provide Damascus with vital military support. Experts say Tehran is now looking to reap a financial dividend.